The resulting model thanks to 3D printing is not limited to the digital world but can materialize as a sculpture in an automatic process. 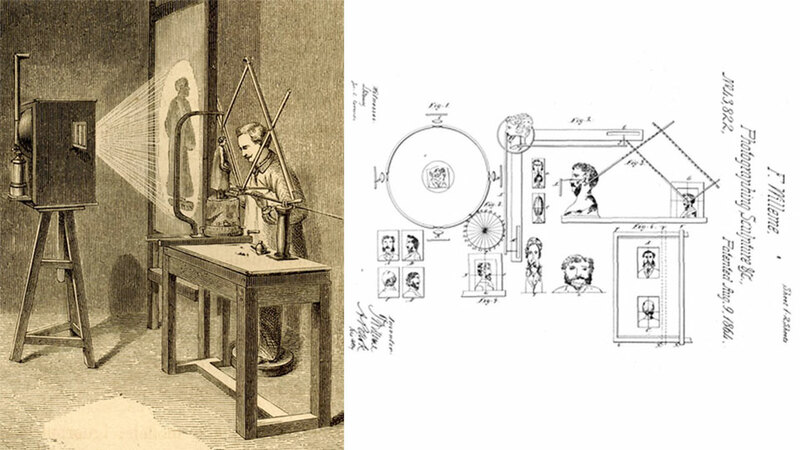 This is now possible thanks to the current technology, but it was similarly imagined by Fraçoise Willème in 1860. He called it photo-sculpture, a technique that still needed a lot of human handcraft but really dreamed of industrializing sculpture process. 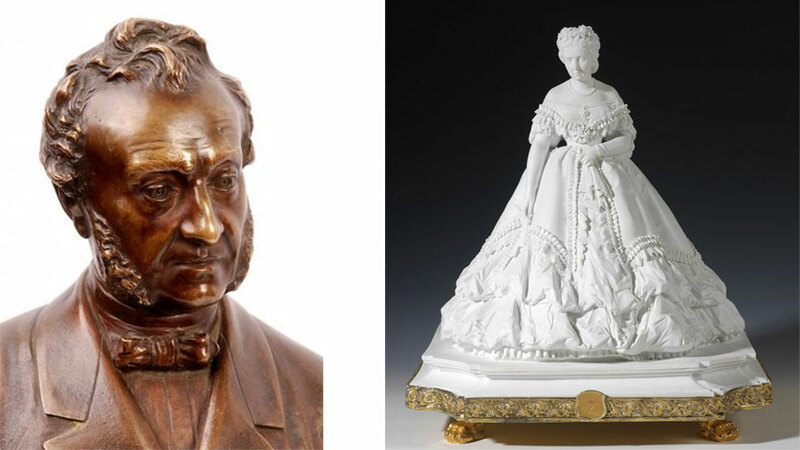 The photo-sculpture came to have a certain fame at the time and portrayed the French imperial court, or the Spanish court of Isabel II by his partner in Spain Jean Laurent. Unfortunately this technique had a high cost and would find the rejection of the majority of the artists of its time who stood against the technological advances that began to dominate their world. This technique is a clear antecedent of what we do today with photogrammetry. It consisted of taking 24 simultaneous photographs of the person to be portrayed in a room prepared for it. With these photographs and the aid of a pantograph the silhouettes of the model were drawn to the desired scale. These silhouettes were like segments with which a model was built that finally an artist would work to give sufficient detail to the sculpture. 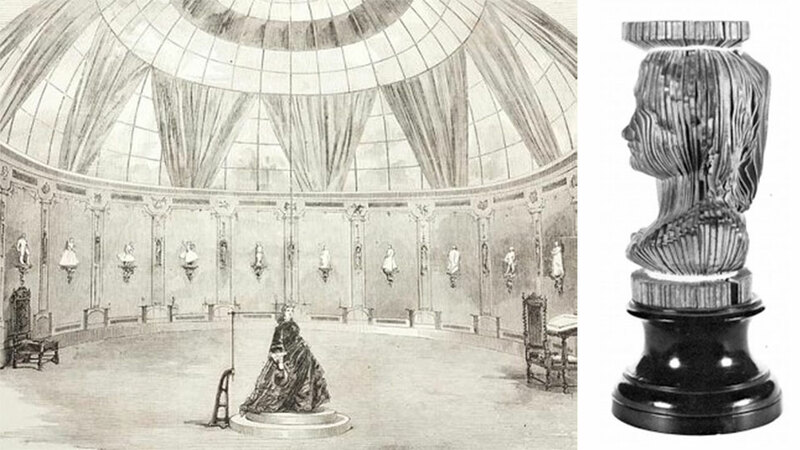 The most interesting thing is that the material with which they worked, photographs from different points of view is the same as we used in photogrammetry, so the photographic material that Willème and his partners created could serve to create photorealistic models of the high society of the nineteenth century, Creating a link that leaps 150 years in time and technology, linking the era of steam with digital. In Moøkan we have decided to try to achieve this leap and to honor the work of the French sculptor by searching original files of his studio to be able to process his photographs and reconstruct them in 3D. We hope to be able to update this project soon with new information and if possible some virtual model.